Crystal Expert - I went thru a custody battle for my daughter and now have primary custody of her. I'm always afraid/worrying her dad will take her from me at some point via court or abduction. Is there a stone to help protect us from him and his negative energies? I’m sorry to hear that you have been having a hard time with your daughter’s father. First, I suggest you use crystals to protect your home and its inhabitants. These can be used along with any other methods that you are using to protect yourself. 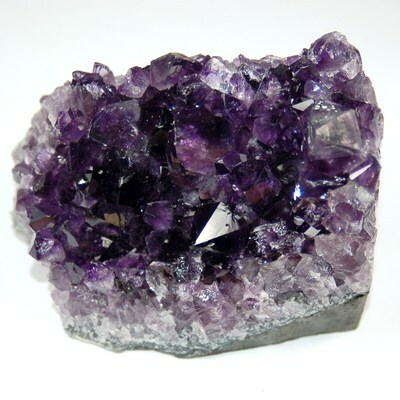 Place an Amethyst druze cluster by the front door to clear all negative energy as it enters your home. Also, place pieces of Pyrite on the windowsill in front of each window. (Pyrite is also helpful for winning legal battles.) I recommend you have her wear a piece of Black Tourmaline when visiting with him or anytime she is feeling his negative energy. You could also carry or wear a piece of this if you feel a lot of negative energy around you or whenever you have to deal with him. For you, I also recommend Celestite for you to help you connect with Angelic guidance and also for the worry and fear you are feeling. Please let me know if you have any other questions. I hope your journey is blessed with Love and Ligh t.